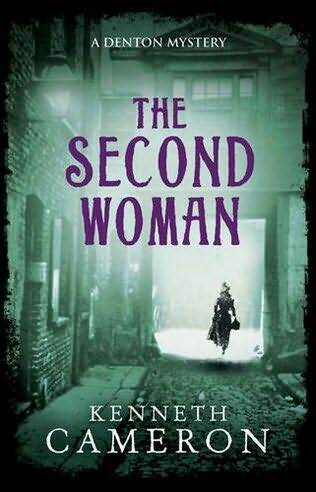 THE SECOND WOMAN - A Denton Mystery. I reviewed this book with apprehension. As the cover correctly depicts the period and genre to which I am not usually drawn. Yes, it has the body, the catalyst for the unveiling mystery. The protagonist is the author detective and his faithful assistant in the guise of a cheeky valet called Atkins. And let us not forget his love interest, Janet and ex-lady of the night who inherits money. Kind hearted and dedicated to her charity work who unwittingly creates the crime, by hiding one. I know, I know, but it works. If it sounds like I mock. I can assure that I do not. Ingredients for a recipe are just that. Kenneth Cameron has worked them together to create, as the editor suggested, a guaranteed success. He does not swamp you in the heaviness of historical reference, or lead you down blind alleys in order to confuse. But he subtly, maybe too subtly, to the point that when Brudenell, Denton’s solicitors, declares that the mystery of the body and her identity were now resolved. I seriously started to doubt my intelligence as clarification for me was still needed. But fear not dear readers, as in any accomplished mystery, all will be revealed. Those clever irrelevant clues at the beginning become transparent. Denton’s invaluable insight into confidential police matters is gained through his social connections and his implicated association to this crime and previous encounters with the law. His friendship with Detective Munro and Hench-Rose, who is part of the intelligence charade at Charrington street, makes his involvement plausible. Denton who is always one step in front of the police finds out that his sleuths abilities are not always wise or quite what he predicted. Kenneth Cameron has achieved in making his book a page turner. Not for its tension sprung prose or its intense suspense but for his exceptional ability to engage you with every page. He allows you to walk the streets in a leisurely, unchallenged manner. If you are a fan of BBC mystery dramas or Radio 4 drama, then I would certainly vouch that your satisfaction will indeed be guaranteed. MA in Creative Writing student. Shortlisted and commended, in children’s fiction. Short story and poems published. Runner-up. Regional writing competition. Just completed first young adults novel.